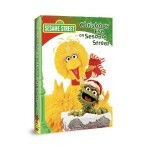 A delightful movie, this classic should definitely be part of your family’s holiday collection if you are a fan of Sesame Street and the Sesame Street gang. In this movie, Big Bird and the Sesame Street gang decide to figure out how Santa Claus makes it down the narrow chimneys when he’s clearly a chubby, jolly creature. Their curiosity takes them on some interesting adventures that truly delight in the holiday season and help teach them (and the audience) about the meaning of Christmas. They sing many wonderful and classic Christmas songs, and also teach a few lessons in different things as well. A great special for kids!